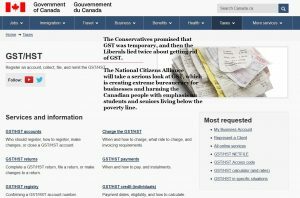 The National Citizens Alliance will take a serious look at the Goods and Services Tax (GST) because it causes unnecessary bureaucracy for large and small businesses, and harms the Canadian people with emphasis on students and seniors who are living below the poverty line. This policy statement will be updated with a specific NCA plan to deal with the GST. The GST policy statement will require a vote of the NCA membership to be adopted. A minimum 70 percent voting membership must support the policy and with a 50 percent quorum of voting membership as per the NCA Constitution (2014).